Sen. Franklin Drilon has expressed concern about the increasing number of Chinese nationals working in the country. He feels worried about Filipinos being deprived of the presence of foreigners working supposedly for our fellowmen. 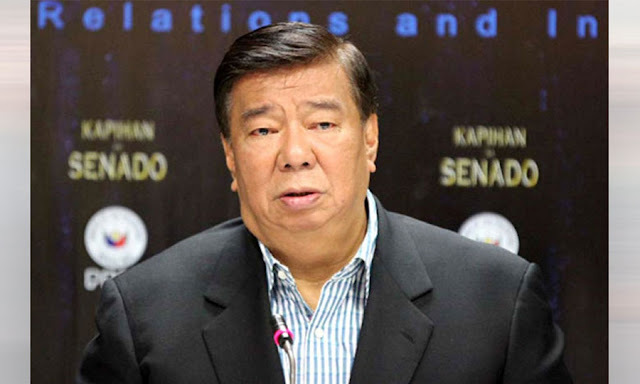 During the deliberation of the Department of Labor and Employment’s (Dole) 2019 budget, Drilon said he learned from “industry people” that there were about 400,000 foreign workers in Metro Manila alone and about 25,000 went to Chinese nationals. Under the Dole Department Order No. 97-09, an Alien Employment Permit (AEP) application will be denied if there is a Filipino who is “competent, able and willing to do the job” intended for the foreigner.